I have seen this happen when you boot into the LCC then prematurely reboot the system. The system then get’s stuck trying to boot into the LCC. I have also seen a system have an up time for over a year and on the reboot the error is present. You can leave the machine at this screen for 45 minutes or more and it may never move. Luckily, there are a number of fixes for this issue. -Power down the machine and unplug power from the system, then drain the flea power by pressing in the power button. -Running the LCC patch that can be found on Dells website, but if you can’t get into the OS you have to jump through some whoops to get it installed. -Replace the motherboard, but that’s a little extreme!!! -The easiest method is to simply tell the system to not boot to the LCC on the next boot up. Didn’t it say to do that on the Dell Splash screen? 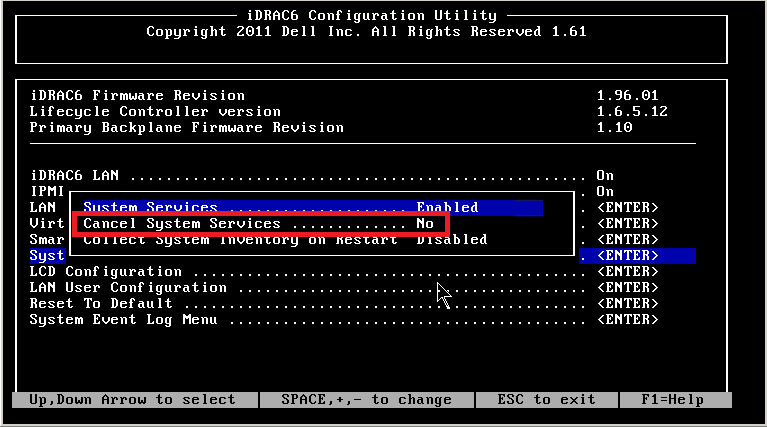 Awe.. boot into the iDrac Configuration Utility. That’s awesome! I’m glad the guide above helped. Your guide was on the mark, gave me back control of the system. Now, I do not think that it is necessary to unplug the system given that most systems are remote. All that is needed is to shutdown/Reboot the system and as the system is coming up, enter the iDRAC6 configuration Utility by using Ctrl-E . Once in the configuration Utility, users will then follow your instruction. This was extremely useful! Thank YOU! well.. unfortunatelly, doesn’t work for Dell R210 server. Two of them have been upgraded to Lifecycle-Controller_Legacy_Application_0WFGM_LN_1.7.5.4_A00. Only one stuck on “Entering System Services”. I can cancel it, but USC no longer works. Downgrade to (previously) working version 1.6.0.73 doesn’t help either. Where is LCC that You mentioned? I belive stuck problem is caused by PCI device reported on Collecting Inventory page as SubVendorIID/SubDebiceID: 1028:1f0e. Booting over live CD lspci -n doesn’t show such however. I suppose it to be Dell “SAS 6/iR Adapter RAID Controller”, which is at least 8-port controller, when this server has only 2 hdd mounts. 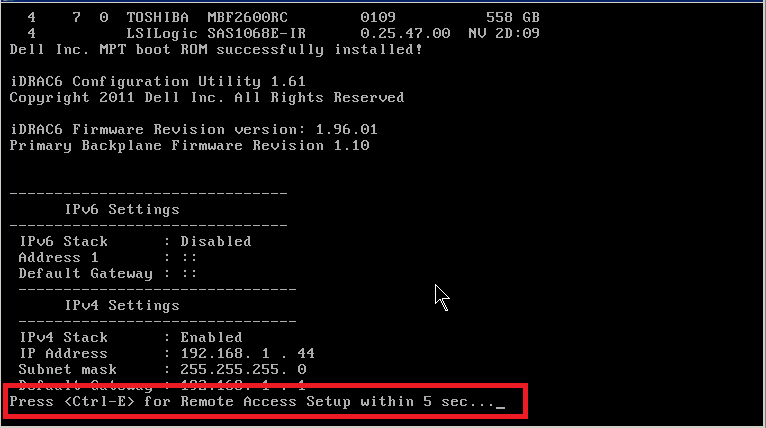 Yep, dismounting SAS 6/iR Adapter RAID Controller allows USC to run without problems. This card is affecting USC. Strange. Looks like you had quite the morning. Time to call Dell Support and try replacing that card and possibly getting a motherboard too just in case. Thank you for your input. I found this very helpful. I have a R210 II that kept freezing when I would press F10. I removed my PCI card adapter and rebooted and I was able to get into F10 at this point. No problem Mark. Happy to help!! Thank you very much. This way help me. 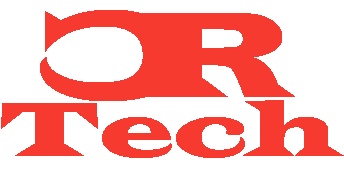 I have a problem on my Poweregde R710 server with iDrac6, which is displaying the following message: “iDrac Communication failure” and shows at the top of the screen when booting “System Services Disable”. 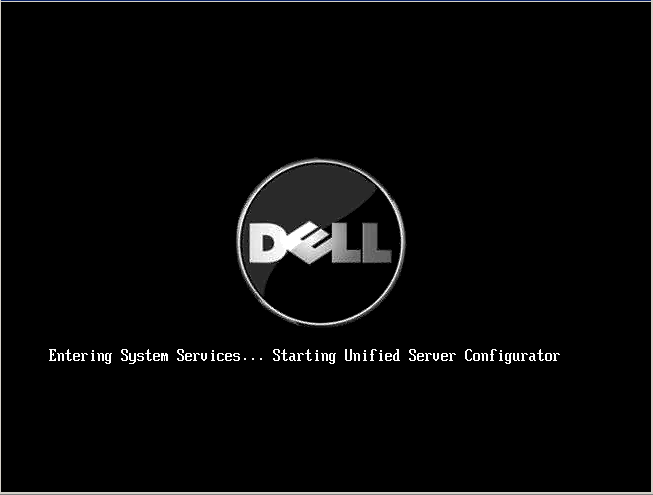 This occurred after I made the BIOS update to the latest version available on the Dell website … Version 6.4.0. 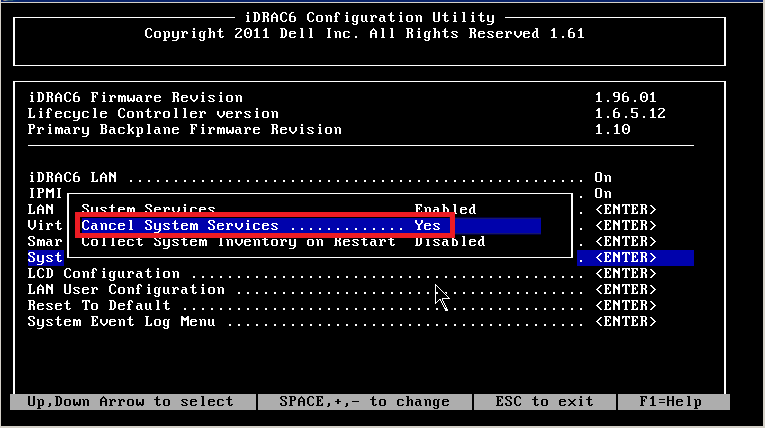 Now, even if I enter the iDrac6 controller configuration through “Crtl – E”, and leave “System Services” and “iDrac Lan” enabled on the “on” option, after saving and restarting the server, System Services “. With this, leaving completely without the option of updating the iDrac “Firmware”. Has anyone gone through this and have any suggestions ??? Boot Mode ? BIOS / UEFI ? What are your settings ? I believe these settings were BIOS not UEFI.